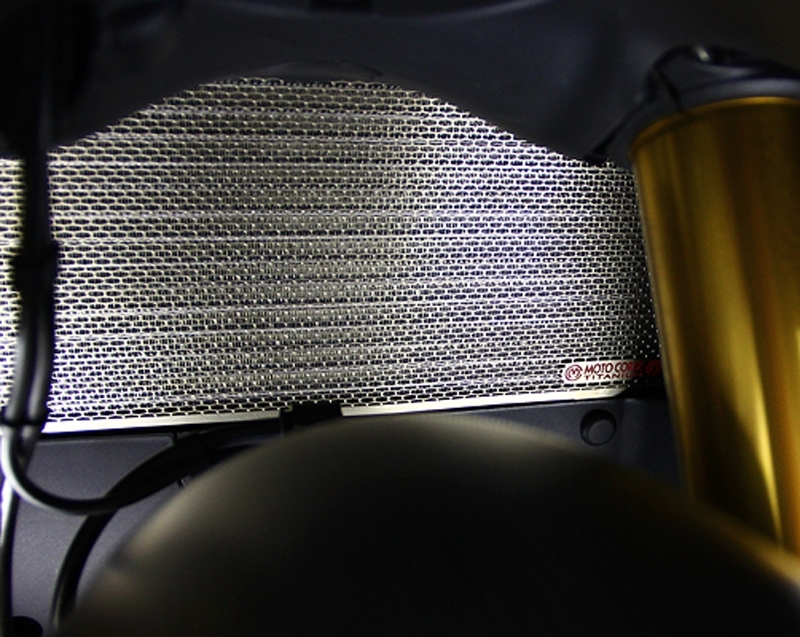 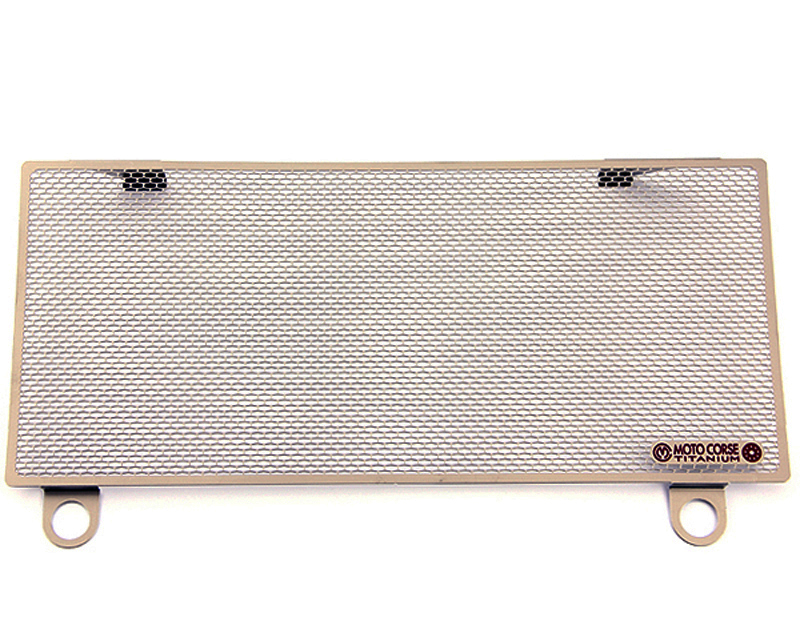 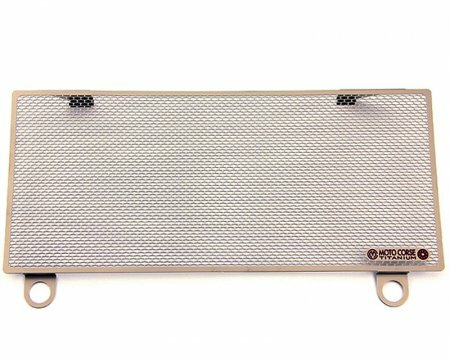 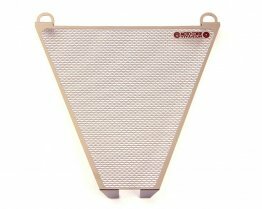 This radiator guard is formed from a titanium sheet with a thickness of just 0.6 millimeters and is cut and perforated by means of photochemical etching that gives the object an impeccable appearance. 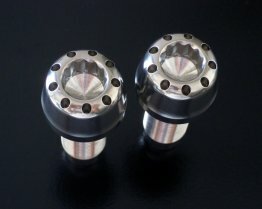 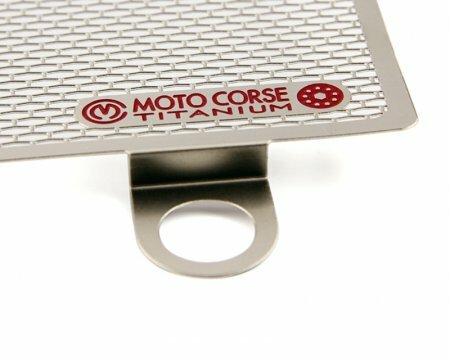 Titanium is a material impervious to corrosion and oxidation caused by weathering and time therefore will maintain its structure. 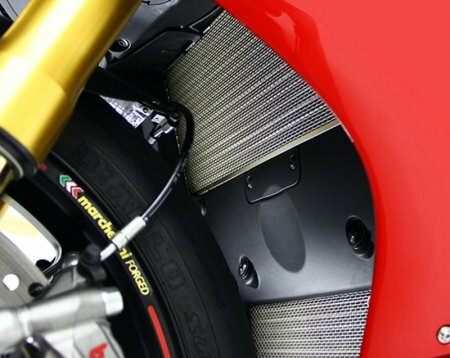 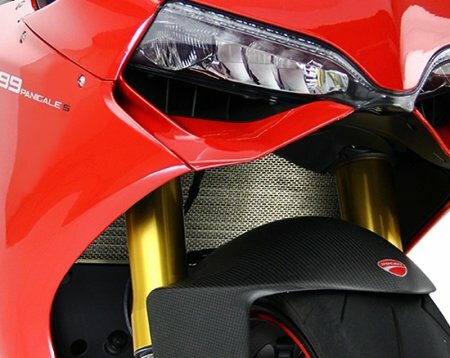 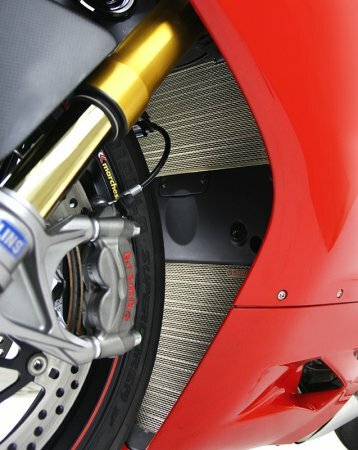 When you must stand out from the crowd with the finest parts, MotoCorse is the way to go.